Command and Control interweaves the minute-by-minute story of an accident at a missile silo in rural Arkansas, where a single crew struggled to prevent the explosion of the most powerful nuclear warhead ever built by the United States, with a historical narrative that spans more than fifty years. It depicts the urgent effort to ensure that nuclear weapons can't be stolen, sabotaged, used without permission, or detonated inadvertently. 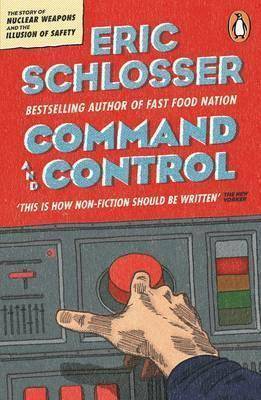 Schlosser also looks at the Cold War from a new perspective, offering history from the ground up, telling the stories of bomber pilots, missile commanders, maintenance crews, and other ordinary servicemen who risked their lives to avert a nuclear holocaust. Drawing on recently declassified documents and interviews with men who designed and routinely handled nuclear weapons, Command and Control takes readers into a terrifying but fascinating world that, until now, has been largely hidden from view.